Thank you to all who attended my workshop in Geneva last Friday Introducing ICA’s Technology of Participation, including Nadene Canning who tweeted the photo of some of us, above. Special thanks also to Pamela Lupton-Bowers and all at IAF Geneva for hosting me and for arranging the workshop. The one-day tailored master-class (pdf) introduced four core methods of ICA’s ‘Technology of Participation’ (ToP) methodology. Below are links to some of the case studies and other resources I shared on the day, and some that I didn’t. The workshop was adapted from elements of ICA:UK’s 2-day Group Facilitation Methods, Participatory Strategic Planning and Organisational Transformation courses, and IAF conference sessions presented in Moscow and Copenhagen in 2014 and in Stockholm in 2015. Public courses are available monthly in the UK with ICA:UK and 2 or 3 times per year in Geneva with Initiatives of Change. Watch this space for details of my own schedule of public courses in Brussels for 2017, and see also ToP facilitation training – what’s it like, and is it worthwhile? and ToP facilitation training at your place – and free places for you! Regularly scheduled public ToP training courses are also provided by ICAs elsewhere including in Australia, Canada, Taiwan, Ukraine & the USA. Other ICAs also offer public courses, and in-house courses on request – see ICA Worldwide. The famous sticky walls are available from ICA:UK. This post was written for ICAI’s monthly bulletin the Global Buzz, June 2015. This month’s issue includes updates from ICAs in Cote D’Ivoire, India, Japan, Nepal, Spain, Taiwan & USA. Last month provided a rare and invaluable opportunity for the largely virtual Board of ICA International to meet face-to-face, in conjunction with the East & Southern Africa ICA regional gathering held near Arusha in Tanzania – see my review of the Board meeting Raising our ambition – a face-to-face meeting of the virtual ICAI Board, and please SAVE THE DATE for the 21 July ICAI General Assembly (online sessions 10am & 2pm London time). Four Board members stayed on for the regional gathering, which will be reported separately. A WhatsApp group has since been established for the region, to enable participants and others to share reflections and photos and to stay in touch and to facilitate peer-to-peer support and collaboration. The following week I travelled to Moscow to deliver ToP Group Facilitation Methods and Action Planning training with Victoria & Segey Bekhtereva of Rules Play, who are working to promote ToP facilitation and ICA in Russia. I was pleased to be able to meet also one evening with them and another 8 or so Russian ToP facilitators, to hear more of their interests and aspirations for ToP and ICA in Russia, including making ToP training and Certified ToP Facilitator certification available in Russia. We also spoke of how they might make best advantage of Bill Staples’ planned trip to Moscow from Canada in October. While in Moscow I spoke with Sabah Khalifa of ICA MENA in Egypt, and confirmed plans to visit them from June 13-17, after my next client trip to Beirut. ICA MENA is now delivering a programme of community and youth development in four governorates of Upper Egypt, in partnership with the Ministry of Social Affairs, and curently has around a dozen staff plus volunteers in offices in Bayad El Arab (Beni Suef), Fayoum and Cairo – many of whom were already on the staff when I myself worked with ICA MENA from 1989-95. So I am looking forward to revisiting Bayad and Beni Suef and meeting old friends and colleagues, as well as catching up with recent developments – I last visited over 10 years ago. I am also looking forward to supporting ICA MENA however I can in its current 5-year strategic planning, and in taking advantage of possibilities for peer-to-peer collaboration and support with other ICAs. This article was first written for and published in the IAF Europe MENA newsletter, May 2014. When Julia Goga-Cooke invited me to contribute to this new ‘On The Road’ section of the newsletter, I think she may have known what sort of month I have been having. As well as visiting some interesting places, I have been able to meet and work with some wonderful IAF colleagues. I began writing this from Marrakech, where I was facilitating last week for the first Arab Regional Forum on Youth Volunteering. This was convened by UN Volunteers, and brought together over 100 stakeholders from across the region and beyond to share, learn and plan together. On exchanging business cards with one delegate from Jordan, he told me that he had just emailed with IAF about joining or setting up a local chapter. So I was happy to share what I knew about the IAF membership in the region, and IAF’s chapter approach, and to learn from his experience of facilitation and facilitators in Jordan. Prior to this I was in Turin with IAF member Michael Ambjorn of AlignYourOrg , in preparation for facilitating an event there together this week with the 120 staff of the European Training Foundation to celebrate its 20th anniversary this year. It was in designing this event, including a ToP ‘Wall of Wonder’ historical scanning process, that I had the idea for the rather more elaborate process to contribute to IAF’s 20th anniversary year celebration that became ‘Celebrating the development of facilitation – world-wide and history long’. This was launched in April, online and at the IAF North America conference in Orlando. Please do join in, online and at future conferences and chapter events between now and International Facilitation Week in October. 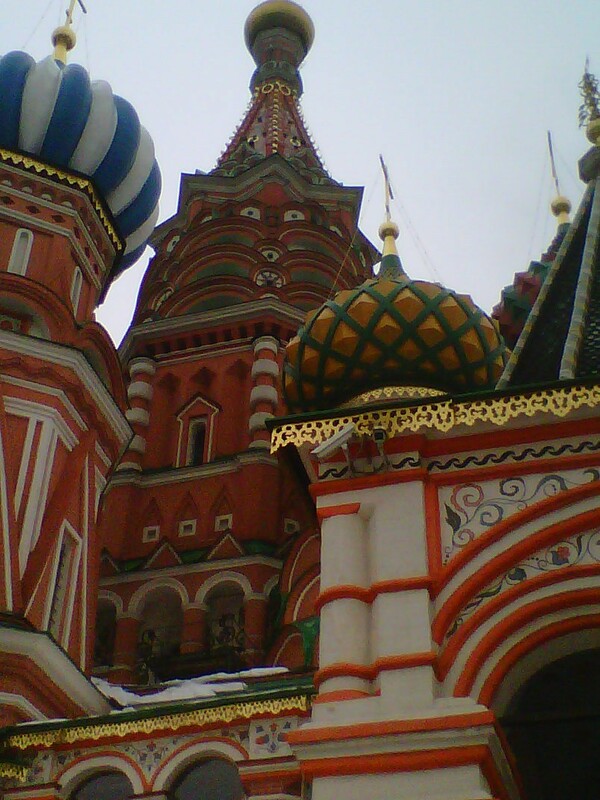 Prior to that, I was in Moscow at the start of April for the 5th annual Moscow Facilitators’ conference. It was great to be back, having attended for my first time last year and contributing a keynote and pre-conference ToP Group Facilitation Methods training. This year I presented a case study of the ToP Participatory Strategic Planning process with an international humanitarian agency in Geneva, ‘Transformational Strategy: from trepidation to ‘unlocked’’, and post-conference ToP Participatory Strategic Planning training (see photo above). The 100 or so participants came from the regions of Russia and Ukraine and Finland as well as from Moscow and the UK. I have been privileged these last few weeks as well to serve as a mentor to one of ICA Ukraine’s ToP facilitation trainers, and to learn something of how she and ICA are working to network diverse actors in Ukraine and to re-envisage and rebuild their country’s future together. It was a privilege also (and fun!) to help to network ICA Ukraine’s facilitators with Russian facilitators attending the Moscow Facilitators conference by exchanging real-time Facebook updates between my post-conference ToP strategic planning course in Moscow and Natasha’s simultaneous ToP strategic planning course in Lviv. It is a great disappointment to me to learn that this year’s IAF Europe MENA conference Facilitation Reloaded will no longer be held in Moscow, although recent events have made it increasingly self-evident that it would not be able to go ahead as planned. It seems to me that there is a need, now more than ever, for facilitation to grow and make a valuable impact in the region. I am delighted to know that the conference will be relocated rather than cancelled, and that the Moscow team will remain involved, and I shall be delighted for the opportunity to visit Copenhagen instead in October. I hope to see you there, and I hope that colleagues from Russia and Ukraine will be able to attend. In the midst of all this I was also able to squeeze in a day of facilitation training with ICA:UK, for an international firm of sustainability consultants in London – happily, and rather appropriately, I was able to travel to that on foot! As the International Association of Facilitators (IAF) celebrates its 20th anniversary this year, join us in celebrating the power of facilitation by exploring, sharing and reflecting together on its history worldwide – past, present and future. We are inviting facilitators everywhere – and everyone with an interest in facilitation, professional and otherwise – to join together in a six-month collaborative process to develop our collective story of facilitation, culminating during International Facilitation Week 20-26 October 2014. Our aim is to strike a balance between honouring the past, celebrating the present, and envisioning the future – and to learn and have some fun together in the process! We invite you to share key events & milestones in the history of facilitation, from your perspective and in your experience, and links and resources on how facilitation has developed and where it might be heading – share and discuss online at Facebook, LinkedIn and Twitter (hashtag #FacHistory), and participate face-to-face as well! Facilitated workshop sessions and other opportunities to share and reflect together will be held at each of IAF’s global conferences this year (April 9-12 in Orlando, 14-16 August in Singapore and 3-5 October in Moscow), and we encourage IAF chapters and other local groups to hold their own events as well – in the run up to International Facilitation Week and/or during the week itself. Follow @FacWeek and #FacHistory on twitter for the latest. The six-month process will be modelled on the Technology of Participation (ToP) Historical Scan method (or ‘Wall of Wonder) – a powerful tool to enable a group to share and learn from their varied perspectives of a journey through history, to review the past in order to prepare for the future. We will build on ideas shared during such a session at the 2007 IAF Europe conference in Edinburgh “Reviewing the past to prepare for the future: demonstrating the ToP Historical Scan method to discern a shared image of the past & future journey of the facilitation profession”, and a subsequent article Reflections on the history of professional process facilitation by Richard Chapman published by IAF Europe & AMED in 2011 – and of course the history of IAF. * Which are/were most exciting or encouraging for you (and which less so)? * Which are/were most influential for you, in your experience or from your perspective? How? * Which indicate the power of faciliation to impact positively – on people, on communities, on organisations, on societies? * What trends can you discern over time, or across geography? * Where can you discern turning points, as between chapters in history? * How would you name the chapters? How would you name the history as a whole? During International Facilitation Week itself, as well as any other local or online events, there will be a couple of #FacWeekChat twitter chats to reflect together on what has been shared and a the results will be published all together online as a storify. Please join us now by following and sharing your events & milestones, and links & resources, at Facebook, LinkedIn or Twitter (hashtag #FacHistory)! I am pleased to share here [pусская версия ниже] a case study I presented at today’s 5th annual Moscow Facilitators conference, on ToP Participatory Strategic Planning with an international humanitarian agency in Geneva. Click on the hyperlinked images to go to other pages and sites with further information. I am grateful to all at IDMC for allowing me to share the example of my work with them in Geneva, and to Edventure:Frome whose smaller-scale strategic planning exercise in Somerset I mention as well for contrast. Many thanks also to Liudmila Dudorov and Mikhail Rossus, and all at GoTraining & IAF Russia, for hosting me so well again for my second year in Moscow (for a review of my first, see the Jazz of faclitation is magnificent in Moscow); and to all who attended the conference presentation and my post-conference course, ToP Participatory Strategic Planning.